The Milwaukee Rep Presents "Every Brilliant Thing"
The warm glow of swagged café lights. Chairs situated in the round, a plush oriental rug resting center-stage. One remarkable storyteller. Dozens of audience members waiting to participate in the magic. When a play is as aptly named as this one, it makes my job a breeze. It’s not just the “brilliant” part; it’s also the “every.” From the supremely engaging Scott Greer to the perfectly-sentimental script by Duncan Macmillan and Jonny Donahoe to the overall format of the evening, under the direction of Terrence J. Nolen, there’s no end to the brilliance of Every Brilliant Thing. It’s the story of a young boy who seeks to cure his mother’s depression by creating a master list of all the wonderful things in life: ice cream, hugging, staying up past your bedtime, the even-numbered Star Trek movies, and so on. Through the years, the boy grows up and grows his list to the hundreds of thousands, including things like the smell of old books, nearly dropping something but catching it at the last moment, and falling in love. Everything on the list is read aloud by members of the audience, the chosen ones having received a cue card upon entering the Stiemke Studio. Clocking in at just over an hour long (no intermission), this play is a wholly immersive experience shared in a space that the Milwaukee Rep has made to feel truly safe. 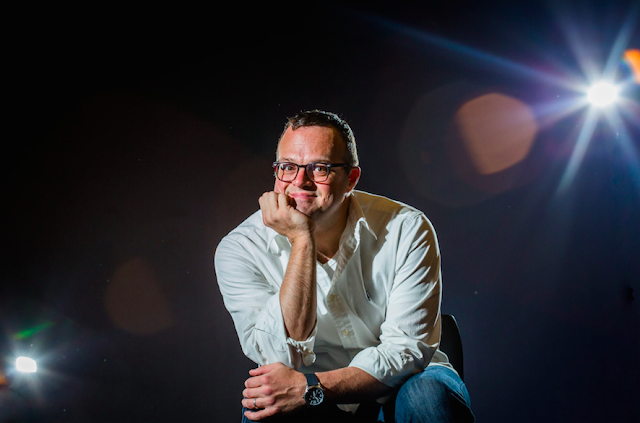 As the people seated in the black box theater change nightly, so too must any moment where performer Scott Greer plays off what the public gives him. Whether he’s looking to borrow a book, prompting a woman to use her own sock as a hand puppet, or coaxing folks to join him on the oriental rug to give a speech or play a prop, Greer conducts the audience with kindness and encouragement. He is terrifically gracious, good humored, and witty. But don’t worry — if participation isn’t your thing, just keep your head down. Greer isn’t here to pick on anyone. Like its lead actor, Every Brilliant Thing is honest, heartfelt, and abounding with persistent hope, even in somber moments. A word of warning: Those who have encountered depression or suicide should be aware that these themes are central to the story. As Greer’s character admits, it’s naive to think that a list of brilliant things — or a play about a list of brilliant things — could cure the complexities of depression. Yet this is an uplifting night of theater that celebrates resilience and invites both open dialogue and a sincere human connection. There’s something magnificent in the simple way this play calls out common joys: surprises, hair stylists who listen to what you want, the smell of bacon. During its short engagement at the Milwaukee Rep, there will surely be countless faces beaming and eyes brimming in the Stiemke Studio. Truth be told, it’s tempting to go back for another round, in the round. Every Brilliant Thing is just that good for the spirit. Take a 1950s musical classic with the names “Rodgers and Hammerstein” attached and you’ve got a lot to live up to, even in 2019. These beloved stories, songs, and performances are seared into people's brains, and it can be tough to top the nostalgia. Happily for the national tour of Rogers and Hammerstein’s The King and I, the cast holds their own and the story stays, mostly, as compelling as ever. 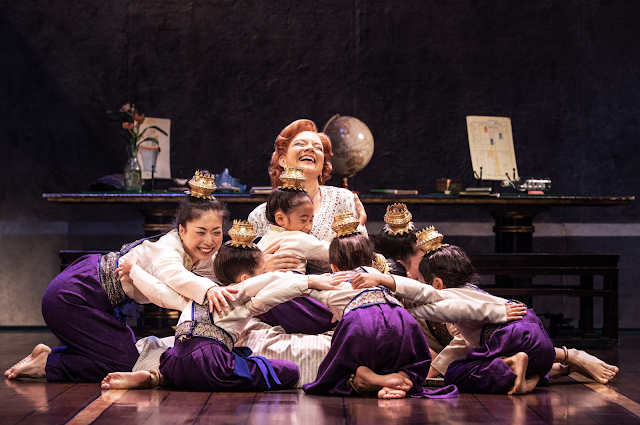 The King and I is based off the 1944 novel Anna and the King of Siam, which was in turn based off the memoirs of Anna Leonowens, English governess to the children of the king of Siam (present day Thailand) in the 1860s. The Siamese King really did have 39 wives and 82 children. Wanting to move Siam toward modern ways of thinking, the King brought in “Mrs. Anna” to teach his children and wives in Western, scientific subjects. Leave it to Rogers and Hammerstein to romanticize Anna’s relationship with the king, though there is less of that love-struck undercurrent in this 2019 touring production. Anna (Angela Baumgardner) and the King (Pedro Ka’awaloa) tend more toward a mutual admiration than a romance. Intentional? The clever rapport between Baumgardner and Ka’awaloa bring some of the strongest moments to this King and I. If the leads wanted to inject more romantic tension throughout, they have the chops for it. Still, these two play easily off each other in friendliness, and that’s great fun. Taken on their own, Baumgardner strikes the right note as the nurturing and knowledgeable Mrs. Anna. Her “Hello Young Lovers” is sweet and sincere. She delivers the well-known tune “Getting to Know You” with cheery optimism, while still coming at the King with believably bold, courageous honesty in more heated moments. Ka’awaloa’s King of Siam is largely likable and, strange as it sounds, endearing in his arrogance. In what may be squirm-inducing moments, like the ways the King talks about slavery or his many wives, the audience is made to feel like we’re all in on the joke — the joke being that the King’s notions may be so obviously backward and naive in their logic, but at least we all know it. This sense of The King and I being largely self-aware is what makes it easier to delight in the King, rather than despise him. We see in Ka’awaloa a King who, for all his charm and confidence, is secretly lost and desperate for guidance in what’s right. His eventual willingness to change is what makes this character’s faults tolerable and his demeanour likable in 2019. Backing up the leads are two ladies who deserve some special praise: Paulina Yeung as Tuptim and Deanna Choi as Lady Thiang, both who are making their national tour debut. Yeung’s first solo, “My Lord and Master,” sends excited chills for all her voice’s beauty and ease. Choi’s “Something Wonderful” simultaneously brings sweetness and strength. Such lovely voices are a treat. 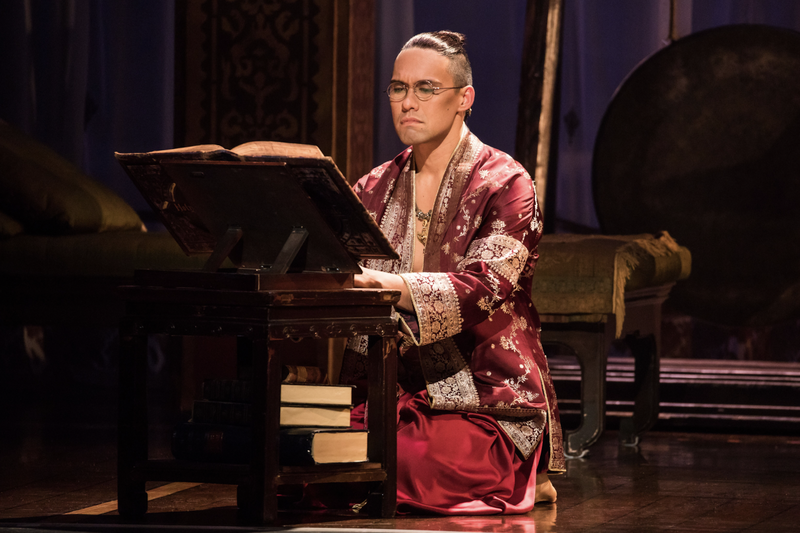 Also, a shout-out must be paid to Timothy Matthew Flores as Prince Chulalongkorn for his seriously commanding entrance and sympathetic take on a young and puzzled king-to-be. The childrens cast is also, not surprisingly, adorable. It’s intriguing to examine how a show from 1951 holds up after nearly 70 years. The relationship between Anna and the King is at the heart of this story, and since our fascination with such relationships stands the test of time, so too does the central plot of The King and I. When it comes to the musical aspect, however, some of the songs really soar, while others fall a little flat. It may be that the evolution of musical theater makes certain styles of song feel dated to today’s ears. That, or it takes real Broadway-caliber performers to take those songs to the next level. Also, The King and I doesn’t have stunning amounts of choreography to fall back on; it’s mostly story and song. Yet the moments where dance is featured are a joy. Tuptim’s play-within-a-play, “The Small House of Uncle Thomas,” has always been a favorite. 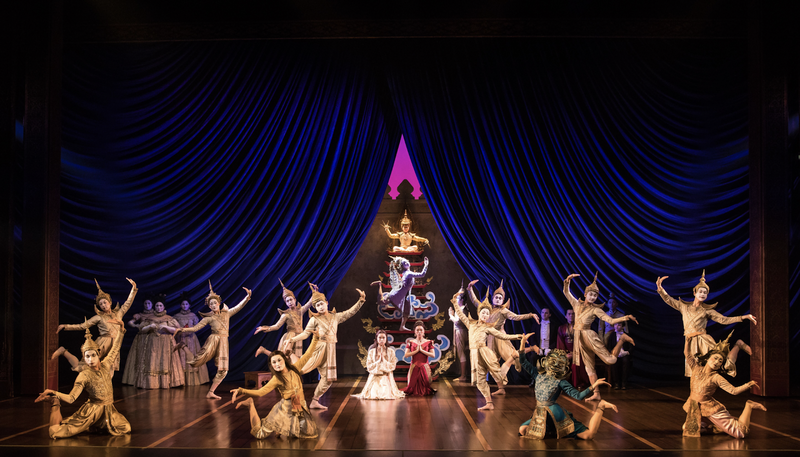 The dancers in this national tour enchant with their splendid execution of Asian classical dance, with dazzling costumes to complete the dreamy scene. There is also a short bit of choreography surrounding a ceremony celebrating a white elephant — a good omen for the kingdom. This sacred moment of dance feels fresh and is made all the more special by dramatic backlighting and the dancers’ ethereal, snow-white attire. More such staging and interpretation would be welcome. The Milwaukee Ballet presents "Lambarena"
When the Milwaukee Ballet presents a trio of works in one mixed program, odds are something will resonate — if not the haunting music of one piece, then the vibrant rush of costumes in another. Aesthetics aside, one can always appreciate the power and poise of the Milwaukee Ballet Company dancers and the skill and grace with which they execute such a range of choreography. This weekend’s selections feature world premieres by choreographers Enrico Morelli and George Williamson, plus the much-buzzed-about Lambarena, choreographed by Val Caniparoli. The evening works its way from Morelli’s moody Compieta to the exuberant Lambarena — a nice progression that leaves audiences on a high note. Morelli’s dreamlike sequence features a cast of sixteen. “There is no narrative to this piece,” says Morelli. “No linear timeline. There is a universe of memories; of future intentions, of fears, of dreams or nightmares, constantly ruined by reality.” Morelli achieves an evocative, anxious, surreal experience. Movements are ever-entwined and fluid with an intentional push and pull. Morelli also designed the costumes in shades of dark green, rust, black, and grey; a solemn yet pleasing palette made more intriguing by the use of sheer fabrics and, sometimes, skirted men. Williamson’s Albatross may be a surprise favorite. 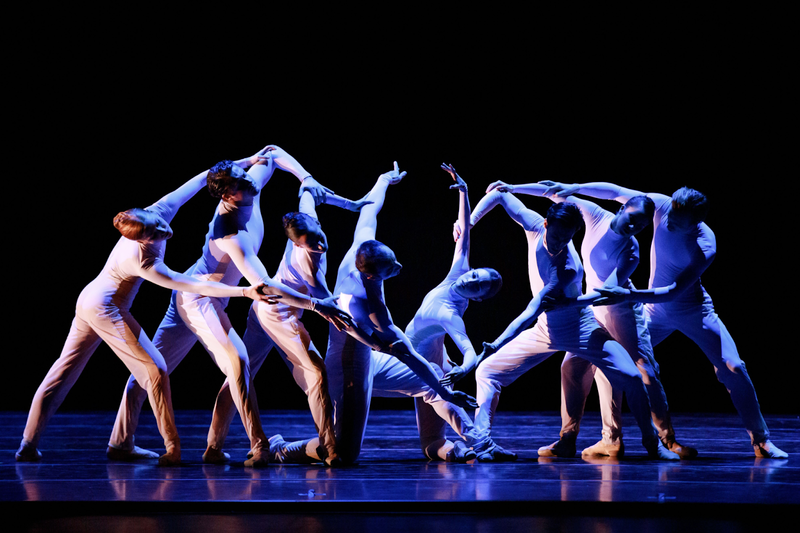 The 10 dancers featured each don simple white bodysuits to become a veritable flock of albatross. Per the choreographer’s note: “This piece evokes the passing of seasons, which is in itself a metaphor for the milestones we reach between life and death. The title references the albatross, a bird which mates for life.” The choreography tells of a pair of birds, their love, their offspring, and that offspring leaving the nest. The depth of this pair’s bond, the weight of their love and the life they’ve built — it all comes through in exquisite choreography and dancing. Albatross is beautiful, moving, and incredibly mesmerizing. For the finale comes Caniparoli’s high-spirited Lambarena, blending traditional African rhythms and dance with compositions by Johann Sebastian Bach and classical ballet. “I wanted to show that you can do either kind of movement to both kinds of music,” Caniparoli says. This juxtaposition is a singular experience and a true joy to watch. If anything, the breaks between songs are more jarring than the mix of African and classical; there really isn’t a story here, rather a study of music and movement. Costumes by Sandra Woodall are stunning, especially the gorgeous sweep of brightly-dyed skirts, whose movement is a dance all its own. What the Milwaukee Ballet excels at is making room for different styles of dance. There's always space for fully-classical pieces (A Midsummer Night’s Dream will be on stage this May), but dance is so much more than tutus. 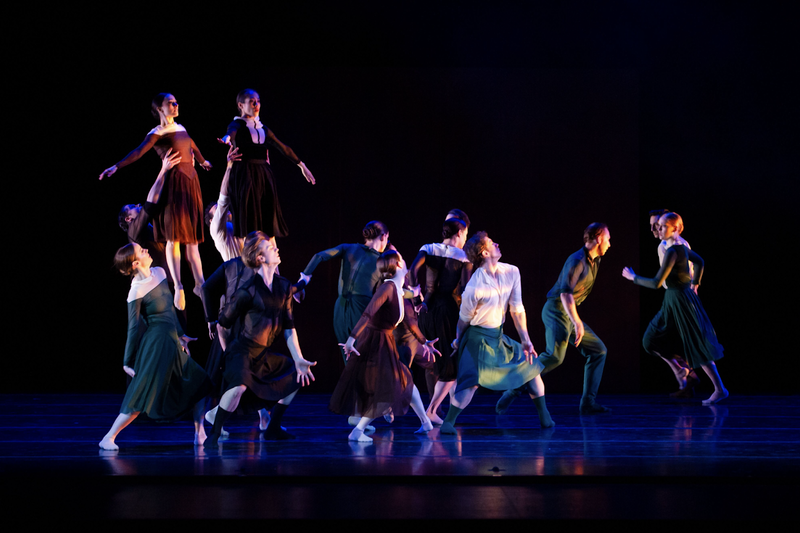 In showcasing contemporary choreographers alongside the classics, the Milwaukee Ballet taps into trends that speak to the evolution of dance and grow a more diverse audience. 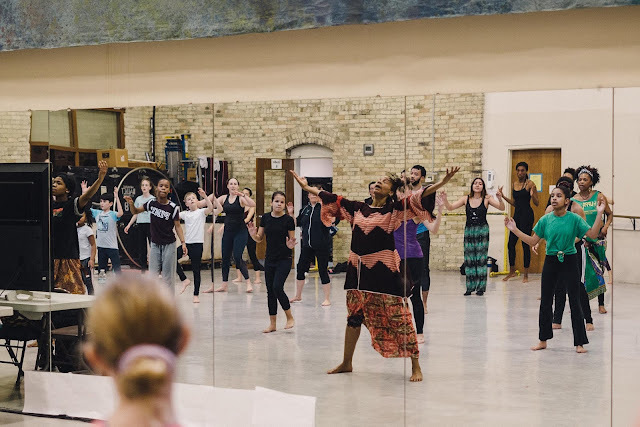 The pieces in this Lambarena mixed program sum up the overarching goals of Artistic Director Michael Pink and the Milwaukee Ballet: to commit to the future of dance through new work, education, and collaboration. Dance is universal. 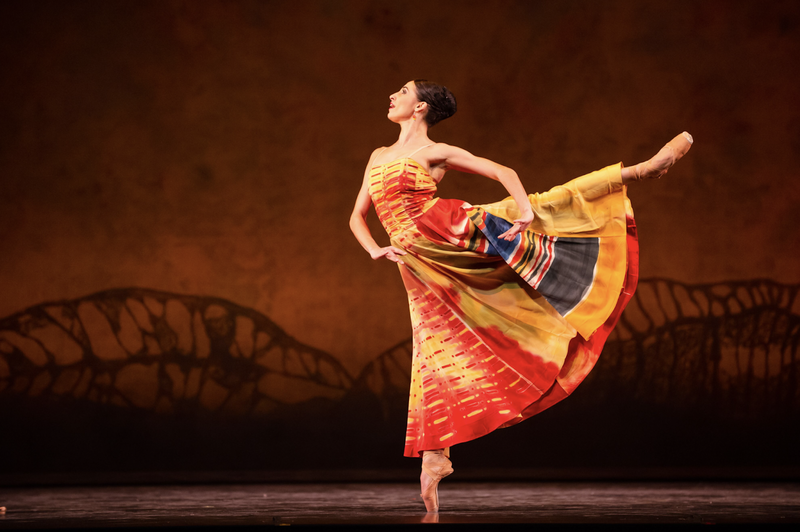 That’s what the Milwaukee Ballet hopes to highlight with its upcoming performance of Lambarena, an innovative work that weaves classical ballet and African movement into one glorious celebration of dance. The piece by Val Caniparoli, which first premiered in 1995, was inspired by a musical composition that merges Bach with melodies from the Gabon region of West Africa. Consider these ears perked. “The score is a marriage of these two kinds of music, and I wanted the choreography to be the same thing,” Caniparoli said. “I wanted to show that you can do either kind of movement to both kinds of music.” By joining forces with distinguished African dancers and choreographers Zakariya Sao Diouf and Naoi Geo Johnson-Washington, Caniparoli ensured that his choreography for Lambarena was authentic and crafted with the blessing of these experts in African dance. In the days leading up to Lambarena, the Milwaukee Ballet has taken great care to educate its own dance company and the Milwaukee community in the art of African dance. 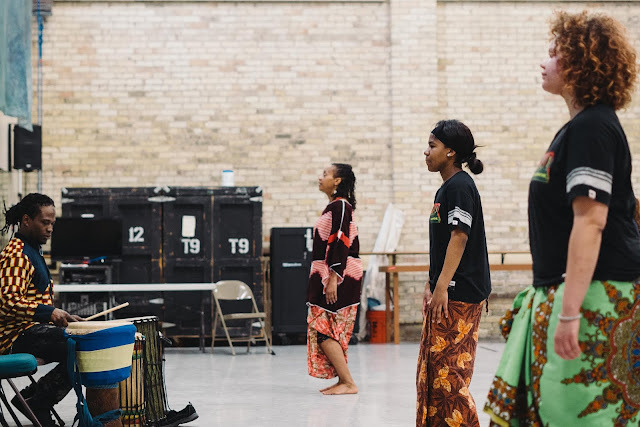 Roxy Kess and Yaya Kambaye of local ensemble Xalaat Africa Drum and Dance for Life taught a class to the Company and Milwaukee Ballet II (MBII), as well as all Milwaukee Ballet School & Academy locations. Kess and Kambaye also attended two of the rehearsals for Lambarena to offer feedback. Last weekend, a free class was held for the public: ”No previous African dance experience is necessary,” claimed the Facebook event. Well sign me up! The dance class took place at the Milwaukee Ballet headquarters on National Avenue, soon to be relocated to the Baumgartner Center for Dance in the fall of 2019. 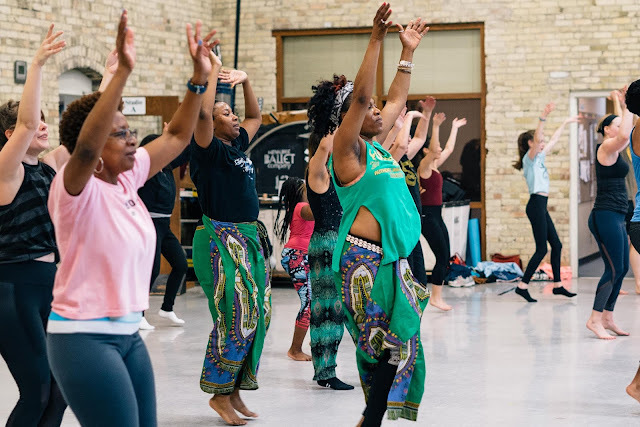 About 50 people from all corners of town poured into the rehearsal hall: eager little boys and girls, older gals in socks, tall and toned dancers, average joes like me, and gorgeous women in vibrant skirts for whom African dance is clearly already a passion. For one hour, we learned by doing. There was hardly any verbal instruction, rather we simply followed Kess and her team of dancers. Dance itself was our communication, and we all grew a little that day in the ways we understand each other and move our own bodies. The class certainly served the Milwaukee Ballet well in its message surrounding Lambarena: that dance really is its own language. In the meantime, the ballet will be back this summer with their third annual Ballet Beat, where the dancers literally take it to the streets in June and July. Per Chavez: “We’re hoping to pack that month with free workshops, pop-up performances, and mainstage shows featuring seven of our Company dancers and two of our MBIIs.” Stay tuned to the Milwaukee Ballet website and Facebook page for more information. Come see what wonders arise from the barriers being broken in Lambarena, on stage April 4th–7th at the Marcus Center for the Performing Arts. Information and tickets at milwaukeeballet.org. RTW presents "Annie Jump and the Library of Heaven"
No doubt Hardy's refreshing approach is one reason why her latest world premiere, Annie Jump and the Library of Heaven, was picked for Renaissance Theaterworks' 2017 Br!nk New Play Festival. Three additional productions will also be mounted across the country within the coming year, thanks to the National New Play Network. It seems theater companies agree with Hardy: there is ample space for Annie Jump on our stages. There's a lot in Annie Jump that works as young-adult fodder: the ages of the protagonists, the sci-fi and fantasy, even the humor. Rachel Zientek is laugh-out-loud funny as Althea, her tone a sort of whiny new-age valley girl, armed with whip-smart comebacks and a spot-on blasé attitude. There's lots of fabulous hair tossing and disinterested nail picking. She's pretty perfect. As Althea's human supercomputer-in-training, Reese Parish shines. There's something so very bright and poised in Parish's manner that makes her a joy to behold. Her Annie exudes believable brain power and a sincere blend of adolescent confusion and optimism. 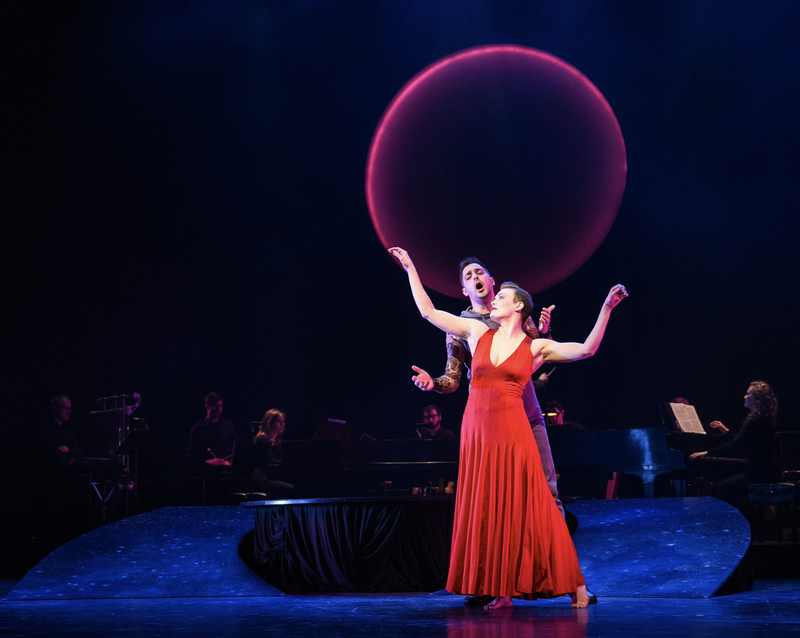 Skylight Music Theatre presents "Carmina Burana"
First, a short history lesson. Carmina Burana is the magnum opus of German composer Carl Orff. His cantata is based off a collection of poems dating from the Middle Ages, whose themes examine the full scope of human existence, from life to death, joy to despair, love to loneliness, and the changing of the seasons. At the center of Carmina Burana is the Wheel of Fortune, highlighted in the instantly-recognizable “O Fortuna,” a thunderous anthem that speaks to the turning of Fate’s wheel. The wheel depicted in the Carmina Burana manuscript has four sides, representing human fortune and misfortune: regno (I reign), regnavi (I have reigned), sum sine regno (I am without a kingdom), and regnabo (I will reign). It’s important to understand the themes of Carmina Burana, but less so the nuances. As it’s performed in Latin, German, and Old French, this is a piece that’s better when it's fully felt, rather than fully understood. In this collaborative Skylight production, the Wheel of Fortune is conveyed throughout: in raised circular stage design by Lisa Schlenker, in the large looming moon illuminated by lighting designer Jason Fassl, and in the multigenerational cast brilliantly costumed by Shima Orans. The greyscale costumes are contemporary, ranging from streetwear and sneakers to a three-piece suit, from a mechanic’s jumpsuit to an evening gown. Together, these remind audiences of the persistent relevance of Carmina Burana, despite the Middle-Aged poetry upon which it’s based. The performance begins and ends with the aforementioned “O Fortuna,” which sandwiches three distinct themes: springtime, the tavern, and love. 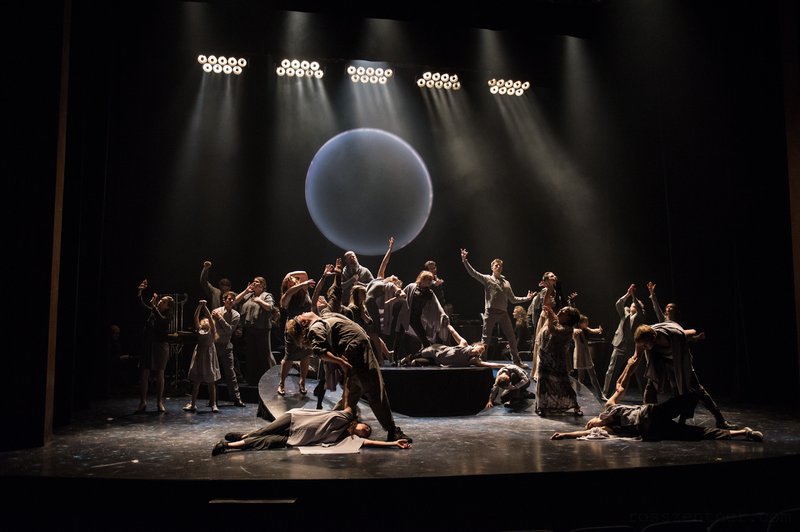 Throughout these three movements, Stage Director Jill Anna Ponasik has indeed achieved “total theatre.” Musicians, opera singers, lyrical dancers and actors, and multimedia projections fill the Cabot stage with near-constant motion. Some might not know where to look. Others might find supreme beauty in this vibrant, exciting display that melds into a cohesive work of art. Should any one leg be removed, the whole thing would topple — or at least feel less complete. The voices are naturally magnificent. Special mentions to Shorewood native Katie Koester, whose sweet soprano is a standout, and to the utterly sublime power of soprano Cecilia Davis. But truly all vocals, from the soloists to the chorale, deserve the highest praise. Orff’s orchestrations are mighty and, at times, incredibly tender; the troupe assembled by Skylight and Chant Claire serves Orff well. As for the dancing and movement, the limited breadth of the Cabot only rarely appears evident. By and large, every inch of the performance is expertly choreographed by Dani Kuepper for vignettes that feel full, not crowded. As the vocalists treat our ears, the dancers offer a delightful feast for the eyes — none more than Lady in Red, Christal Wagner. Wagner dances divinely, her manner such that she seems to inhabit another plane of existence when she moves. She is magnetism. Her red dress evokes immediate emotion, as do other strategic moments where color pops against the otherwise grey wardrobe. For all its transcendent beauty, the scenes and staging throughout Carmina Burana are marked by Jill Anna Ponasik’s signature playfulness. 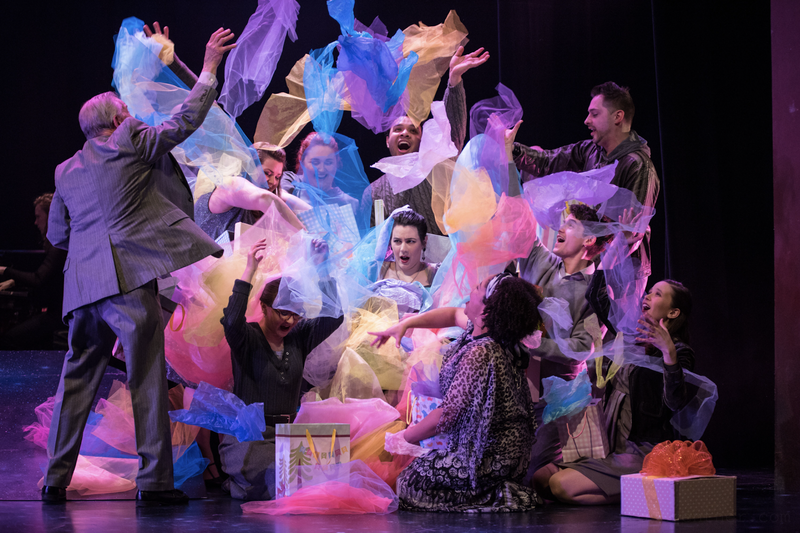 The springtime sequence is especially charming: Families lounge and children frolic in a merry picnic scene, as dancers whirl about the stage wielding scarves of punchy spring green. In a sudden downpour, the cast brandishes umbrellas as letters fall from the sky — letters bearing good news or ill (the Wheel of Fortune strikes again). Next comes a baby shower, where glad tidings burst upon the greyness in rainbow swaths of fabric and tissue paper. In the second movement, set in a tavern, raucous fun erupts. Here we find bickering lovers, a mad dash for McDonald’s fries (drunk munchies anyone? ), a glamorous sequined jumpsuit, and ample frivolity. Although Ponasik ensures such revelry, works under her direction also promise moments of real poignancy and grace. One such moment follows a woman from childhood to old age and the metamorphosis of her beauty. Another, a stirring duet between singer Alaina Carlson and dancer Posy Knight, in which the dancer perishes and a funeral procession follows. In silent memoriam, Fassl’s lighting creates a warm, otherworldly glow that is, in a word, exquisite. As the reprise of "O Fortuna" heralds the finale, the Wheel of Fortune continues to turn. For all its sorrows and silver linings, life marches on. The Skylight’s Carmina Burana is an unparalleled way to experience it. Milwaukee Rep presents "Things I Know To Be True"
"It wasn't supposed to be like this. I thought they'd be like us. But better than us. Better versions of us." At the onset of this family drama, we're greeted by a garden bathed in twilight — three finely-pruned rose bushes, a meticulous hedge, suspended origami flowers, and one towering tree strung with lights. 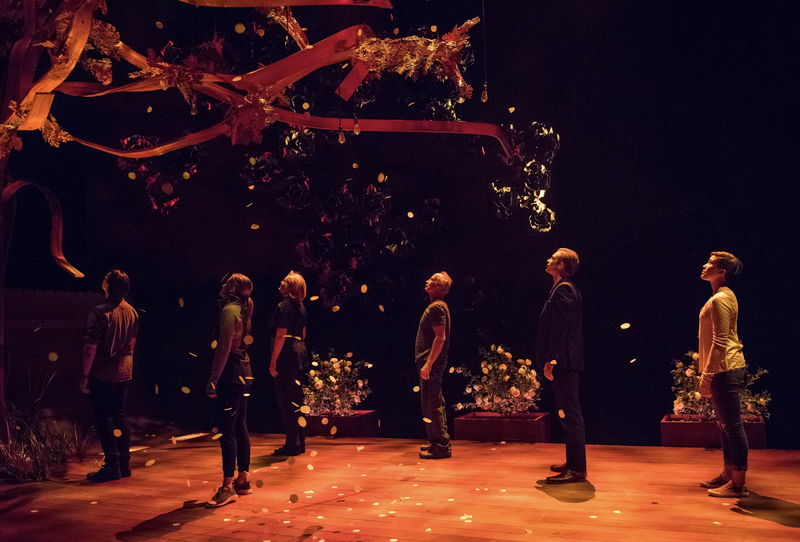 The scene is dreamlike, reflecting a script that Scenic Designer Scott Davis calls "fluid, emotional, and poetic." A fine choice of words, though there are a dozen more I'd add to his list. This Australian play by Andrew Bovell, making its American premiere under the direction of Mark Clements at the Milwaukee Repertory Theater, is indeed poetic — in its verbiage, the way it flows in and out of monologues, and the way choreography lends surreal moments. But for all the dreaminess of its staging, this is a story that steadily descends into the kinds of nightmares, confusion, and heartache faced by a family whose dynamics might be found in any household. While some of the drama (infidelity, identity crisis, corporate crimes) feels a bit heavy-handed when it all falls under one roof, it makes for a show that resonates with every individual in one way or another. If you don't relate to the extremes on display, perhaps the more ubiquitous themes will ring true — like the expectations we have for our children, what love looks like after 30 years of marriage, the mess of emotions involved when we grow up and leave home, and the relationships between mothers and daughters, fathers and sons. In short, Things I Know To Be True follows a year in the life of the Price Family. The play's parents, Bob and Fran, and their four grown children face a myriad of challenges and truths in the span of these four seasons, and that makes for an intense and keenly moving night of theater. It's a searing look at the ebb and flow of family ties and a testament to the idea that, through painful confessions and deeply-felt disappointments, family remains an unbreakable bond. Bovell's turbulent, poignant script — dotted with just enough laugh-aloud humor and lightness — is brilliantly served by the cast assembled by Clements and the Milwaukee Rep. 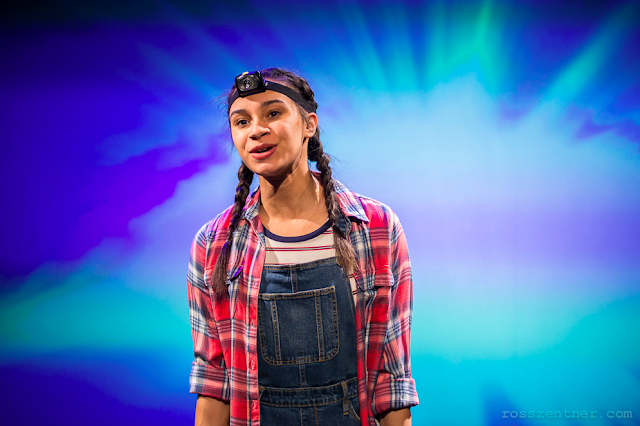 Highest praise to the extraordinary Jordan Baker as Fran, whose character is smartly nuanced. It takes real strokes of genius to convey this frank, chirping, shocking, self-sacrificing, sympathetic, and seemingly all-knowing mother figure, and Baker leaves you breathless. Fran's husband Bob finds perfection in Bill Geisslinger, who endears as the dad who calls Uber "Yuber" and can't for the life of him get the hang of the new Keurig. Feels familiar. Geisslinger moves to tears in moments both fervid and tender. Together, these two make an unforgettable duo. The four children, played by Aubyn Heglie, Kelley Faulkner, Zach Fifer, and Kevin Kantor, each turn out stunning performances — especially Heglie and Kantor. 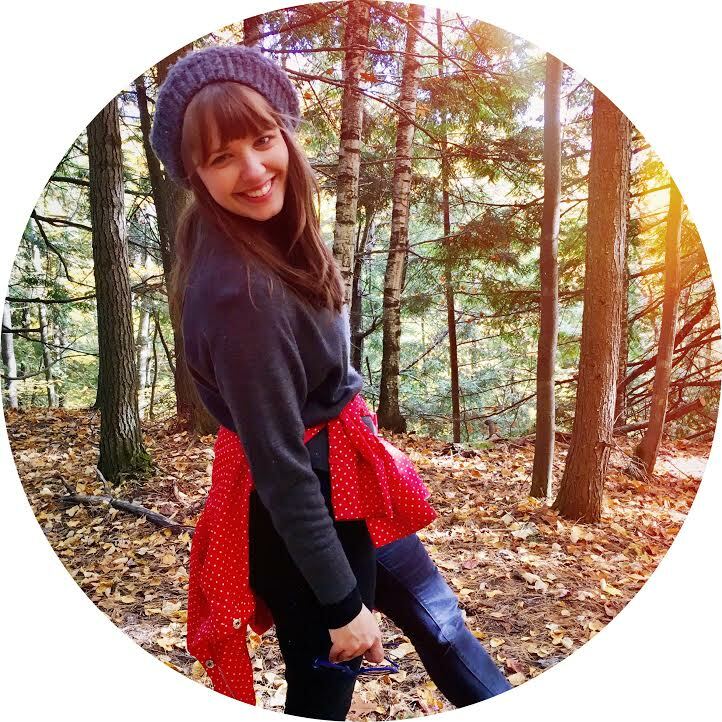 As youngest daughter Rosie, Heglie anchors the play with captivating monologues and a crisis coping mechanism wherein she lists all of the things she knows to be true. As for Kantor, let's maintain some mystery and just say: if you have a heart, it's going through the wringer. To be honest, I wasn't prepared for the ways in which Things I Know To Be True would draw me in and affect my musings for days to come. There's a lot to unpack in this script, and depending what baggage you're personally carrying, odds are Bovell's play will wreak havoc on some of it. Kudos to the Milwaukee Rep for staging a show that doesn't run from life's uneasiness, but rather sits in grey areas for a while and forces audiences to sit there, too. No shiny ribbon to wrap it up. No sigh-inducing final moments where the mess is tidied and the moral made clear. It may be a lot to handle on a Friday night, but it's beautiful and well worth the emotional effort. Just remember to pack some tissues. Pumpkin bread: One can, two loaves! If you think pumpkin bread is seasonal, I beg to differ. 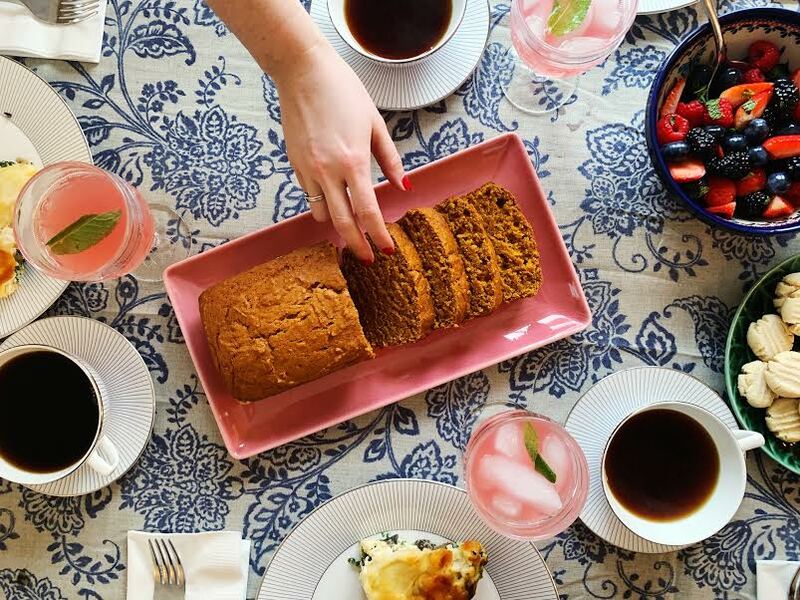 The fact that you can reach into your pantry any time and snag a can of pumpkin to do your baking bidding makes this a breakfast bread for all seasons. The couple cans of pumpkin I had in my cabinet came in super handy on certain near-record-breaking subzero days we've had this Wisconsin winter. As if the convenience of canned pumpkin wasn't enough, I also discovered the perfect recipe from Once Upon a Chef that calls for one entire can of pumpkin to yield two scrumptious loaves of bread. That's right: One can. Two loves. No awkward leftover pumpkin sitting in the fridge for weeks, well-intended for another baked good that will never be. So thank you, Once Upon a Chef, for giving the world a no-waste recipe that's double the delicious trouble. 1. Preheat oven to 325 degrees with oven rack in middle position. Grease and flour two 8x4-inch loaf pans (or use baking spray with flour in it). 2. In a medium bowl, combine flour, salt, baking soda, baking powder, cloves, cinnamon, nutmeg, and whisk until combined. Set aside. 3. In a large bowl, cream together the butter and sugar until just blended. Add the eggs one at a time, beating well after each addition. Continue beating for a few minutes until very light and fluffy. Beat in the pumpkin. Note: If the mixture looks grainy, at this point, that's okay. 4. Add the flour mixture and mix on low speed until just combined. 5. Divide the batter evenly between the two prepared pans. Bake for 60 to 75 minutes, or until a tester inserted in the middle comes out clean. Cool loaves in the pans for about 10 minutes, then turn onto a wire rack to cool completely. I love the crusty top this bread boasts when it's just out of the oven. It's just as tasty the next day, especially if (pro tip!) you toast individual slices in the oven or toaster oven for that just-baked texture. You could also wrap the entire bread in foil and pop it in a 350-degree oven for about 15 minutes. Skylight Music Theatre presents "Things That Go Ding!" Music & mayhem delight in this "wacky little show"
“Oh my stars!” exclaimed the lady behind me on more than one occasion. 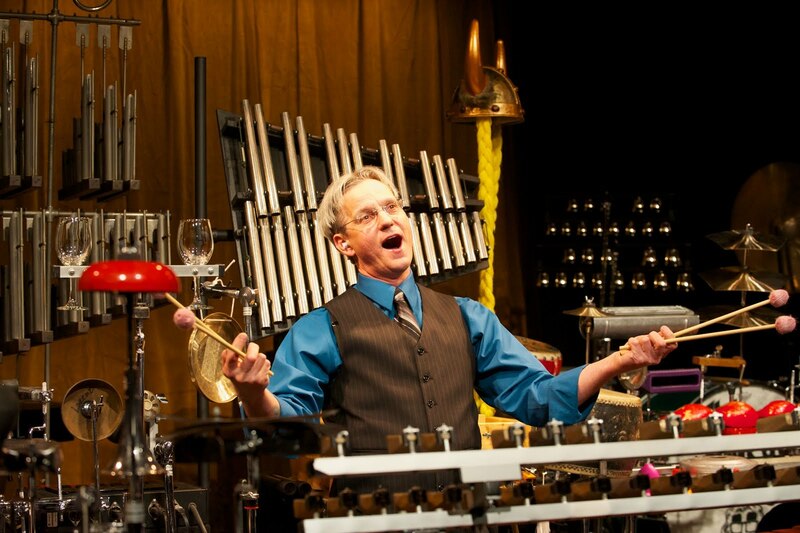 Yes, Michael “Ding” Lorenz boasts crazy talent alongside an outrageous instrument collection that warrants awe-inspired sighs and, as the Skylight Music Theatre proves, a show all its own. Things That Go Ding! played to sold-out audiences in 2012, and now it’s back and bigger than ever in the Cabot Theatre. Before the show starts, audiences can ogle the glorious mess of instruments that lay in wait: Tuned cowbells, bellhop bells, and jingle bells. Things that whiz and womp. Then it’s off to the races, as Michael “Ding” Lorenz (let’s call him Ding) runs about his playground of percussion like a marvelous madman — more of a Wonka than a Wagner. From the get-go, this high-energy spectacle delights. Ding is joined on stage by two great performers: pianist Jamie Johns and singer, actor, funnyman, and Skylight Artistic Director, Ray Jivoff. Through all the mayhem, Johns and his piano nimbly keep the melody going. His part might feel subtle in comparison, but there's nothing elusive in the way Johns plays with such agility and aplomb. He is both a world-class pianist and a class act. Jivoff is hilariously unsubtle, bringing consistent energy and humor to the stage — not to mention a vocal quality and range that’s supremely easy on the ears. Milwaukee needs more stage time with the brilliant Mr. Jivoff, as well as Ding and his odd, astounding collection. Now for a taste of the sounds in store at Thing’s That Go Ding! A relative to the xylophone, this instrument earns a mention because of its versatility. Ding turns to the marimba during classical music medleys, featuring the likes of Beethoven, Offenbach, and Rossini. The most thrilling, however, is Liszt’s ever-accelerating “Hungarian Rhapsody,” during which Ding and pianist Jamie Johns keep excellent and impressive pace. A moaning rubber chicken wearing a kilt. A squawking duck-call kazoo. A whistle that sounds like a pack of twittering cartoon birds. No sooner had these fine-feathered antics made me muse how Things That Go Ding! feels like being inside a Looney Toons soundtrack, when lo and behold: Ding and Johns treated us to something extra-special and, quite literally, cartoonish. As a projection screen lowers from the ceiling above the Cabot stage, a 1931 cartoon plays silently. Johns leaps into action, accompanying the cartoon with feverish piano mood music, while Ding provides the sound effects: gusting wind and rain, lightning, a train rolling down the tracks, click-clacking footsteps, and the rattle of dancing skeleton bones. It’s an ode to silent movies and the live instruments that once lent them their soundtrack. The entire cartoon, though no more than five or ten minutes, is a singular experience. To me, this is the segment that really makes the show. Close on its cartoon heels is a segment powered by the charming, chiming sounds of a celesta. This instrument looks like a miniature upright piano, except inside there are little hammers striking a graduated set of metal plates. It sounds like a music box. As Johns points out, the Jeopardy theme, “Mr. Sandman,” and the theme to “Mr. Rogers Neighborhood” all come courtesy of the celesta. The Mr. Rogers reference is the one that sticks, as Ray Jivoff bursts upon the scene in a bright green cardigan to sing “Won’t You Be My Neighbor,” “What Do You Do With the Mad That You Feel,” and “It’s You I Like.” It’s just the sweetest, most heart-warming thing, and Jivoff carries it off splendidly. Can (and should) a row of more than a dozen tuned taxi horns play Carmen’s famous aria? For Things That Go Ding!, there’s no more fitting way to present the famous “L’Amour est un Oiseau Rebelle.” The piece is made even more memorable with a hefty dose of Ding in drag. At one point in the production, Johns and Jivoff leave their pal Ding alone on stage for a very special musical moment. Ding introduces us to a relatively-new addition to his collection: the handpan. The handpan might be confused for a flying saucer or Weber grill, but it’s actually a drum that, depending where you strike it, emits a different note. Backed by his handpan, tuned wind chimes, two gongs, and the crazy-cool waterphone, Ding plays an original composition. (Note: The waterphone is a wild and eerie little instrument featured in suspense and horror films the world over.) This original piece of music is where Michael “Ding” Lorenz truly shines as a master of his craft and collection. His percussive playing is mesmerizing. “Oh my God, there’s more,” gawked the lady behind me as Act Two opens to reveal the full extent of Ding’s collection — bigger, louder, and more wacky than before. There’s a stairway of drums, a line of (untuned) rubber chickens, a row of dangling pots and pans, giant spiralized cymbals, a traditional drum kit, and — my favorite! — a full-size slide with chimes on either side, so as you zoom down you can stretch out your arms and make sweet music. See? This collection really is a veritable playground. Join in the fun at Things That Go Ding!, now through March 3, 2019!